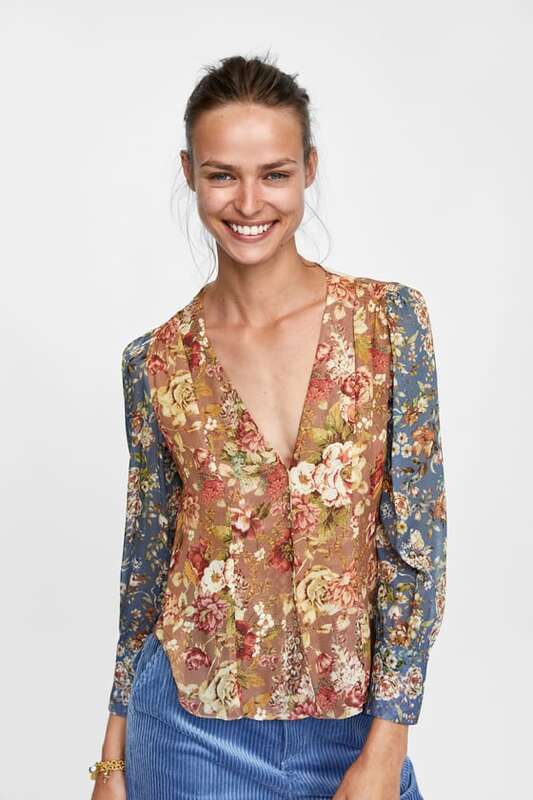 I mean, I'm talking initially about the blouse but that model is a beaut too. I won't lie, I had an "Is this cute or ugly?" moment when I first saw this. I mean, the blue to the brown, the shoulders, the print - I wasn't sold when I first picked it up. But then I put it on. It was love at first on-my-bod sight. I don't know what it is specifically that I love most about this. The fabric is gorgeous and extremely lightweight, I really love how the shoulders sit on my own (I can tell now that my posture exercises are actually working), it tucks perfectly, the buttons are just the right size. Then I had the ever-present do I need this, or do I just want it? Well let me tell you how hard I justified this purchase in my head with my "I don't have anything like this, especially in these colours, and the structure is so cool, and it's a perfect length for my tiny-person torso..." and on and on and my inner monologue kept going - even longer than this horrific run-on, if you can imagine. So I did it. I went straight to the register, paid for my new love, went home, (had a nap), and wore this bad girl out to a taco dinner date. It was perfect. So perfect, I didn't even snap a picture of my outfit in the mirror before I left. But, 10/10 would wear again with nice jeans, which are basically the only pants I wear anyway. I'm fully in love and not afraid to shout it from the rooftops.